Scientists in the Middle East are working on a genetic test that they hope will pave the way for earlier autism diagnosis and therapy. 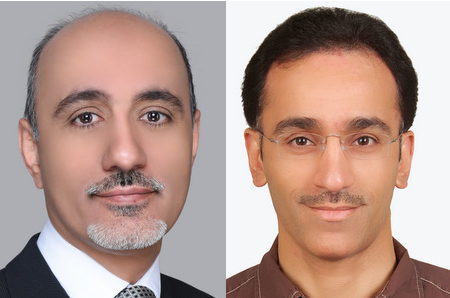 Kuwaiti scientists Fuad Alkoot and Abdullah Alqallaf say families can wait up to 13 months for an autism diagnosis. Their children miss out on critical support because of the delay. The pair say they have developed a four-stage computer system. It tests genetic data. They say this enables them to detect the “potential to develop autism” – even before “any behavioural symptoms start to appear”. The system examines between 150 and 500 features present on different chromosomes and known to be linked to autism when certain genetic patterns are present. In a paper published in the International Journal of Data Mining and Bioinformatics, the pair say their experimental results achieved “optimum accuracy of early screening” on unseen and independent data. The scientists’ paper addresses problems with the current behaviour-based diagnosis. It reads: “The delay in the detection and diagnosis leads to a delay in the delivery of critically needed speech and behavioural therapies that have significant positive impact on a child’s development. Mr Alkoot, of the Public Authority for Applied Education and Training (PAAET), and Mr Alqallaf, of Kuwait University, maintain that unlike cancer, detecting autism through genetics has not attracted much attention. The pair say their technique shows “it is possible to detect autism” using a computerised analysis of genes. Work is ongoing among scientists to establish the role played by genetics in autism. Research in JAMA Psychiatry in March 2015 found genetics to be a key contributor compared with other factors. The researchers studied 258 twins. They found that between 56 per cent and 95 per cent of the effect is estimated to be genetic.